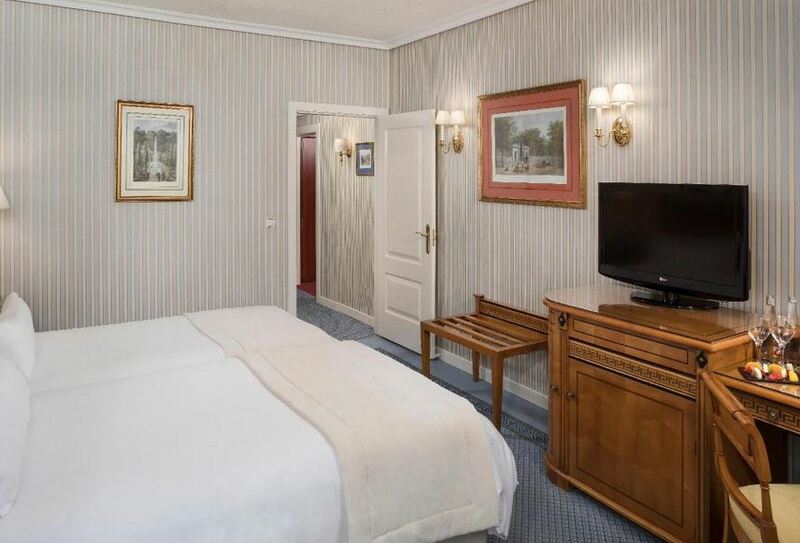 For delegates of the 1st ESSKA Speciality Days 2019 hotel rooms have been secured at the Melia Castilla Hotel. The deadline for booking the ESSKA Speciality Days 2019 Special Hotel Rate is Friday, 22 September 2019. From this date, reservations will be subject to hotel room availability and best available rate. Please note that a credit card is required to complete the room booking. The credit card used to book the reservation will be charged the full non-refundable stay at the time of your booking. If you cancel 72 hour(s) before arrival or are a no-show, 100 % charge as cancellation penalty will apply. Please reconfirm the length of your stay with the hotel at check in-time. Should you decide to leave earlier, the hotel will charge for all nights reserved. Please be aware that you may receive phone calls or emails from organisations who will claim to be calling on behalf of ESSKA Speciality Days 2019 and will offer discounted hotel rates to delegates in Madrid, Spain. They will request a contract and payment information from you to take advantage of their alleged discounts. These companies are NOT affiliated with the ESSKA events and you should not, under any circumstances, provide them with your payment information. © ESSKA SPECIALITY DAYS 2019. All rights reserved.